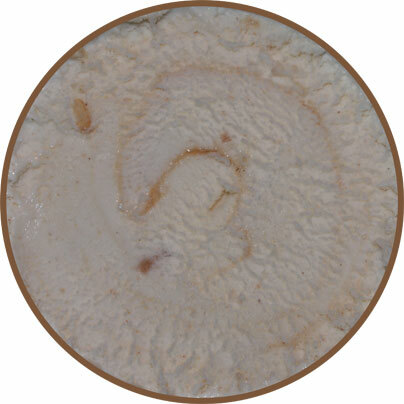 [New for 2013] Time to try another flavor from our free shipment of new Front Porch ice cream pints. 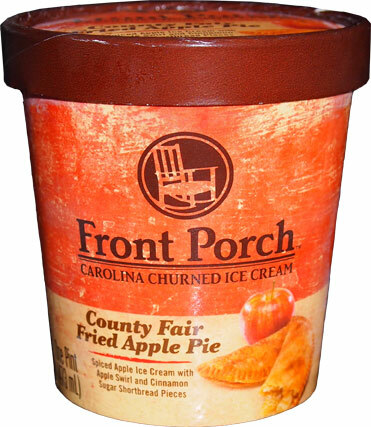 Now Front Porch premium Carolina churned ice cream is new to to the market as of last year, but it's made by the fine folks of Mooresville Ice Cream who have been around since 1924. 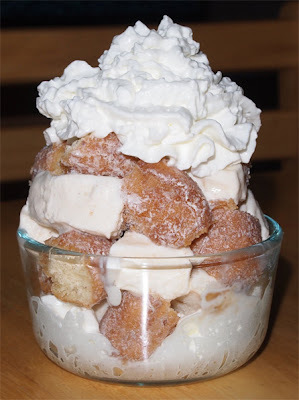 This is Front Porch County Fair Fried Apple Pie ice cream. 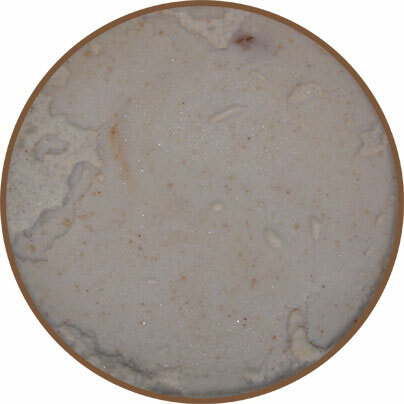 It's "spiced apple ice cream with an apple swirl and pieces of cinnamon sugar shortbread". I always get excited when cinnamon is involved. Hmmm, looks like shortbread crumbs everywhere. There's a slightly spicy apple smell.... and a slightly spicy taste. Not like pepper spicy, but it's more of an apple cider vibe than apple pie really, well, compared to what I'm use to anyway. It's nothing crazy, none of these flavors are, but it's definitely different then any other apple flavor I've ever tried. These are all good things. Ok, if you look close you should see a thin swirl throughout the pint, but where are my shortbread pieces. That bit on the top left corner is actually a bit of apple. I scoop onward and I continue hitting small apple bits now and then, but no shortbread. Alright, I'm taking a break from shortbread hunting. I'm yet again surprised by the unique and refined nature of these flavors. My only complaint at the moment is where are the shortbread pieces.... curse you luck of the draw! I really dig that authentic hearty apple flavor, I just don't recall an apple flavor like this before. It reminds me of a nice cold cider rather than something fake and artificial. Nice job on the base front porch. On Second Scoop: Ahhh, there's that nice strong apple taste. This is a really nice apple base, but I have to ask, where are the shortbread pieces? I don't think I've had a single one. If this was chock full of bits, I'd be in heaven, but since I'm only finding the occasional apple bit, I'm left wanting more. On Third Scoop: Ok, I still can't find the shortbread pieces.... so I made my own fun. It's whip cream, three layers of alternating donut and ice cream slices, and then some more whip cream.... ok, technically I added a bit of cinnamon apple topping after this picture, but yeah, it was both tasty and fun to make. My fav flavor is apple ice cream, reminds me of the pre FDD Edy's days when my family and I would have Autumn Apple Pie with your apple pie during Thanksgiving. We'd practically beat each other up for it ;) Too bad about the lack of pie pieces but I think your sundae made up for it!